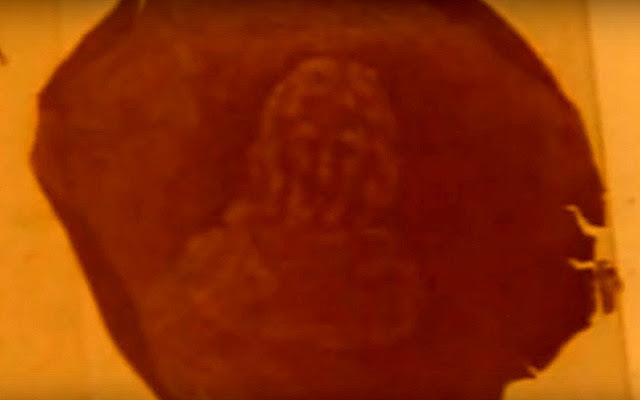 Some of the rose petals had religious images. 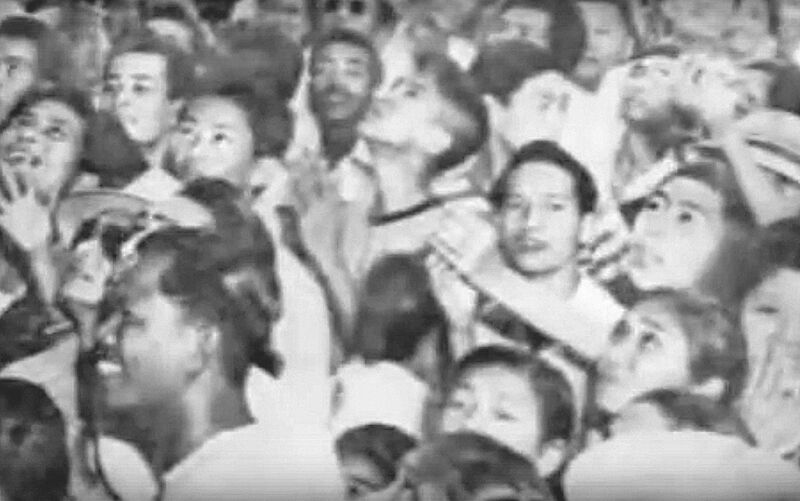 Image captured from June Keithley and Center for Peace Asia documentary on YouTube. 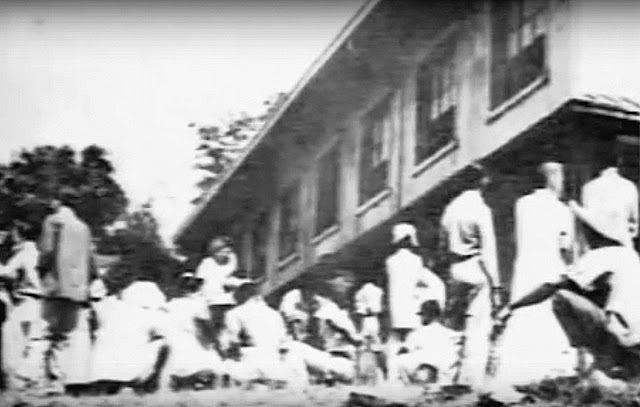 A previous article in Batangas History already detailed the alleged apparitions of the Blessed Virgin Mary, who was said to have announced herself as Mary Mediatrix of All Grace, to the then–young Carmelite postulant Teresita Castillo in 1948. For this article, we go beyond the scope of the previous one and retell the story of the mysterious showers of petals that supposedly happened within the grounds of the Carmelite monastery in Lipa City, Batangas in the aftermath of the alleged apparitions. This story is of special interest to this writer whose father, a young lieutenant in the fledgling Philippine Air Force assigned at Basilio Fernando Air Base at the time, was a first-hand witness to one such shower of petals. The young lieutenant, a self-proclaimed skeptic, told this writer and his siblings on a few occasions that, while he would not state outright that he believed the alleged apparitions to have been true, he nonetheless had no explanations for the shower of petals that he himself personally witnessed. He had gone to the grounds of the Carmelite convent with other young officers of the Air Force one windy and rainy day out of curiosity; and they were fortunate enough to have been rewarded for their efforts with a shower of petals. Apparently, not everyone who came was so lucky. “People waited, most of the time vainly, for another shower of petals so they could go home with one of these precious petals,” said the late former Press Undersecretary Felix Bautista1. What the young lieutenant could not wrap his mind around was how the petals, which according to him fell from seemingly nowhere, seemed to be falling to the ground in a straight vertical motion despite the wind and rain. People in the crowd had their eyes aimed at the sky hoping for petal showers. Image captured from June Keithley and Center for Peace Asia documentary on YouTube. It was the sort of phenomenon that was certain to make a convert of the non-believer, few more prominent that the then-bishop of Lipa himself, His Excellency Alfredo Versoza2. Versoza had been hearing of the alleged apparitions and the sudden influx of devotees into the grounds of the Carmelite Convent; and was having none of it. 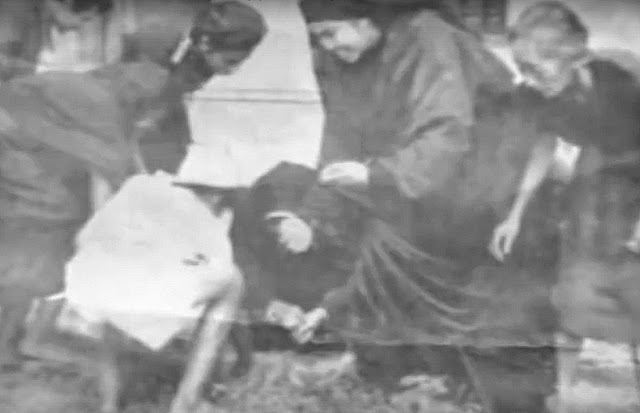 According to other clerics in the then–diocese of Lipa, Versoza was also of the skeptical sort and had ordered the Carmelite nuns to put an end to the nonsense by removing the statue of the Virgin Mary from where it could be venerated by the public. He then personally visited the convent not to see for himself the alleged supernatural events but to make sure that his order was being complied with by the nuns. Upon his arrival at the convent, however, according to one Fr. Senen Encarnacion, the bishop was greeted by a shower of petals – enough to fill a plate – which seemed to have fallen from out of nowhere. This was corroborated by Atty. Antonio Manguiat, one of the citizens of Lipa. The bishop fell to his knees in prayer and, upon meeting the convent’s Prioress, gave permission for the statue of the Virgin Mary to be returned to the window for veneration. Before long, an official report on the alleged apparitions would be published in the bishop’s Imprimatur, and the story would soon be picked up by the national and even international press. People descended upon the grounds of the Carmelite convent in even greater numbers. At one point, the total number of people inside the grounds was estimated at 30,000. Once, it was estimated that some 30,000 people were inside the convent grounds. Image captured from June Keithley and Center for Peace Asia documentary on YouTube. Masses were celebrated at the grounds daily and the rosary was prayed constantly. Primarily, people came hoping to witness a shower of petals and hopefully be able to take one home as a spiritual keepsake. As mentioned, sometimes people waited in vain. The showers of petals apparently occurred randomly. Retired former Air Force General Godofredo Juliano was one of those who corroborated this writer’s father’s story. He must have also been another young Air Force officer at the time of the alleged apparitions. He recalled: “…and I saw petals, rose petals, red rose petals, falling, not falling straight but sort of fluttering down.” This was, however, despite the wind and rain that other witnesses attested to. Carmelite nuns are seen stooped gathering petals after a shower. Image captured from June Keithley and Center for Peace Asia documentary on YouTube. The luckier ones collected petals with images of Jesus Christ, the Holy Family, the Sacred Heart, the Virgin and Child, St. Joseph and many others etched on them. An American university laboratory-tested a sampling of these petals and concluded that they were from a Russian species of roses. 1 Along with the other details and quotes of this article, from “The Keithley Report,” digitized and available on YouTube as the video “The Woman Clothed with the Sun – Lipa Apparition,” created in 1990 by June Keithley and the Center for Peace Asia, uploaded by Jun Perez. 2 Vigan–born Bishop Alfredo Versoza’s initial skepticism in the face of the alleged apparitions in Lipa are well-documented in stories about the event. 3 “Vatican overrules Batangas bishop; declares 1948 Marian apparitions not genuine,” by Lito B. Zulueta, published June 2016, online at the Philippine Daily Inquirer.